Ready for some fun and chuckles? Photo Bomb is a hilarious set that is inspired by all the selfies we take -- not always with oneself, but with your gang of friends! It's a great set to send wishes from both of us, or all of us! Photo Bomb will coordinate perfectly with Polaroid Fun. 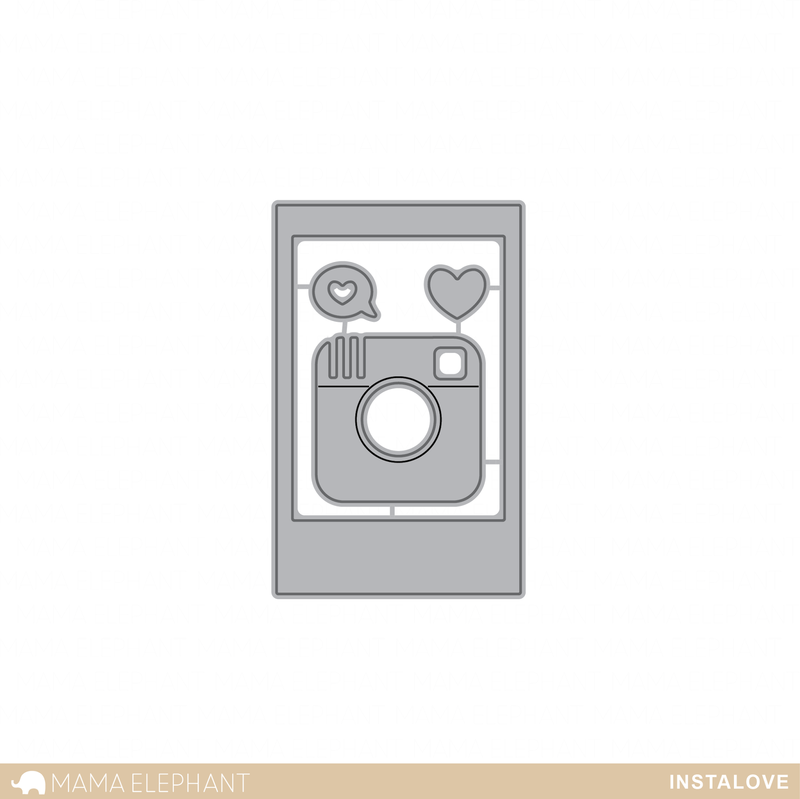 It will also work with Instalove. I created two cards, first one uses the smaller images and the Smile Script dies also coming out this month. I went with black + white photo, cause I'm nostalgic like that. I stamped some sequins for some pops of color from Confetti. And now the reverse - a super bright, happy color photo. This is such a joy to color with Copics, I never thought I would say that, lol. Angela can't stop chuckling of how this reminds her of Ellen DeGeneres' Selfie shot at the Oscars last year! Very Lovely, I will love this set! I am sooo excited about this set! It is amazing! 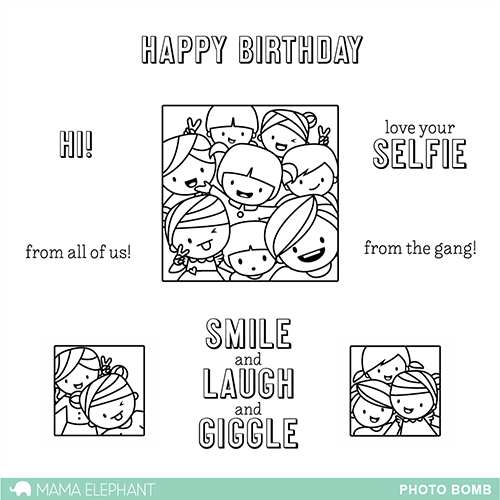 This is awesome love, love the stamps and dies and great inspiration love those funny cards. Super cute and fun! Love those little faces! ack!!! totally cute! love all the stamps and the fun dies to work with it. great samples. Hee hee hee hee!!!! I love this! So fun and adorable! I will love this set! Totally cute!! Such a cute stamp set and the cards are lovely! I'm just in love with the beautiful stamps and dies. Beautiful cards. Just love the ideas. Seriously the cutest thing I have seen today!!! Love it!! wow, these are awesome... can't wait. Ha this is a great set...fun images and love the from the gang sentiment. 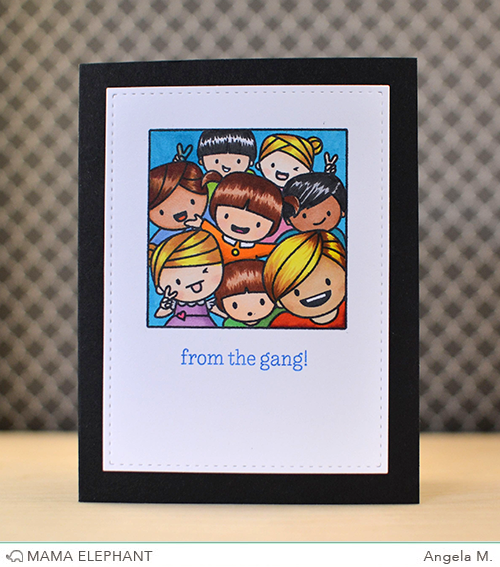 Our kids call ourclose group of family friends the gang so that cracks me up. Angela, I had the same thought as soon as I saw the group selfie! That was a classic selfie moment!! So cute... and really NEW to the scene style, Mama E. Way to stay current, and fresh! My new faves. I love these stamps and dies! 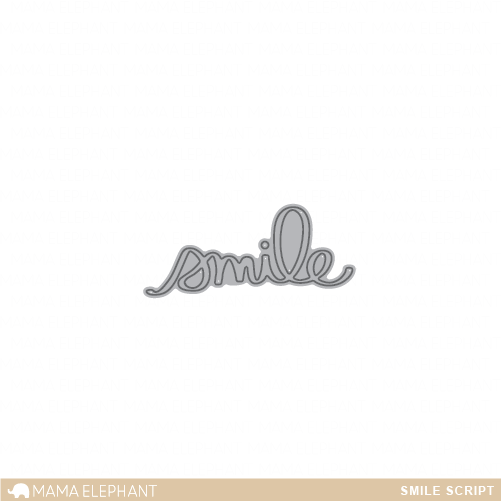 Love the new Photo Bomb stamp set, so adorable and The Script Smile die would is great as well. I love the Photobomb the most!